OPTA member Mike Fulop was an exemplary, selfless ambassador of the sport of trapshooting in Ontario. To honour him and his legacy for great sportsmanship, this award is granted every year to an OPTA member who has clearly demonstrated tremendous encouragement and support for our sport in this Province, making trapshooting much more enjoyable for so many of our participants. We congratulate and thank the recipients for their enthusiasm and for making a positive difference! A minimum of 500 doubles must be shot in Ontario in each of the current and previous years in order to be considered for this prestigious award. OPTA Member Mark Edmondson set the bar high with his many records and victories as a Doubles Champion in this Province and across North America. Before he passed away, Mark set up this Award as a means to motivate others towards his passion and successes in Doubles. We congratulate the recipients for their hard-work and dedication to Doubles. Mark would be very proud of you! 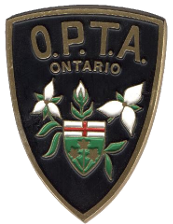 This prize will be given to the OPTA member who shoots registered ATA targets at the greatest number of different clubs in the Province during the 2013 ATA shooting year: September 1 thru August 31st OPTA competitive shooting season. NOTE: The minimum number of various clubs that must be attended to qualify is 10 clubs. It does NOT matter if you won anything at any of the shoots. What DOES matter to us is that you are supporting the various OPTA clubs and their efforts to advance registered trapshooting in Ontario!. The winner of this award is selected by the OPTA Board through the ATA official records of all the new OPTA shooters (those who shot their first registered targets in the prior ATA shooting year).